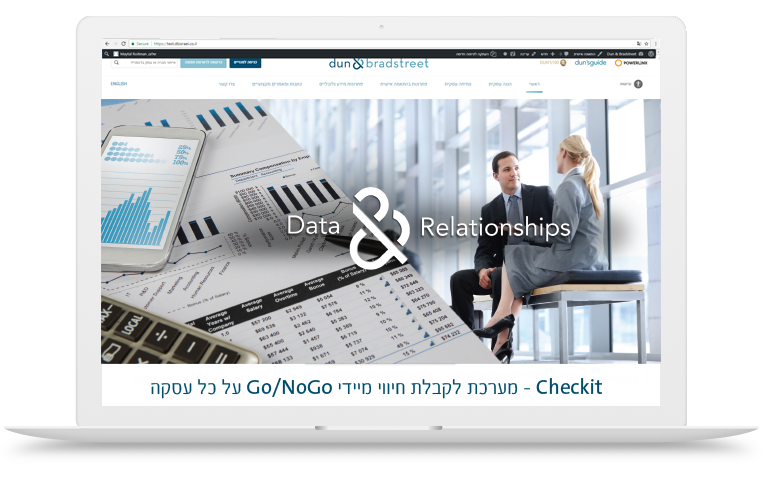 When you need to make quick decisions in real-time but lack the time or resources to ask all the right questions, Dun & Bradstreet offers a unique solution. Our Checkit product performs an immediate status and risk level evaluation of any business and provides one clear indicator: “GO” or “NO GO”. Checkit, also available as a mobile app, is based on a unique model that weighs eleven different parameters. These include: risk level, alerts, legal status, arrears in payments, legal claims, bounced checks, bank account status and more. The system allows you to define the parameters that are important to you and weigh the data accordingly, enabling you to make decisions quickly.